Construction work and construction sites are very dangerous. The Occupational Safety and Health Administration (OSHA) reports that scaffold and ladder related injuries account for 41% of all injuries on construction sites. 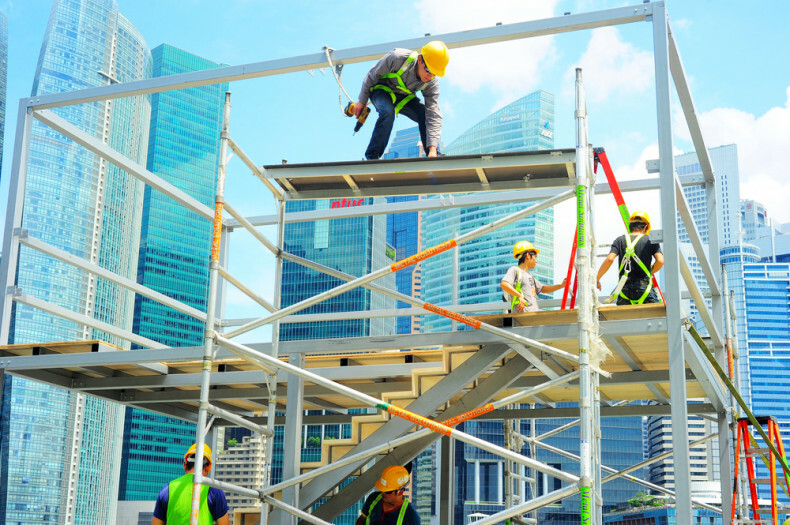 New York State Statute Labor Law Section 240, also know as the “Scaffold Law,” was created to protect those who work at elevated heights because of the very dangerous nature of construction work. Often, construction workers have very little say in how a job can be safely performed or what types of safety devices are even available on the job. Injury to workers on construction sites occurs throughout the United States, and often they are due to the unsafe nature of the worksites. Power tools, partially built structures, scaffolding, ladders, lifts, heavy machinery and rotating crews of tradesmen account for some of the hazards on construction sites. While OSHA is the federal agency that regulates safety measures on construction sites, once an injury has occurred, a construction accident attorney should be contacted at a personal injury law firm that is familiar with state and federal safety laws as well as local codes of conduct. If you are injured in a construction accident, it is important to contact an attorney immediately to protect your rights so that you promptly receive compensation benefits for lost wages, payment of medical bills and pain and suffering. If there is a general contractor or owner of the property either of whom is not your employer, you can often file a lawsuit under the Labor Law. Our team has considerable experience in these cases and engages top OSHA and other types of construction experts to build the case. Regardless of what caused the accident, the injuries sustained from a ladder or scaffolding fall can be critical. Our team has demonstrated results to help you get the compensation you deserve. For an individual consultation regarding your potential construction site accident claim, contact The Fink Law Firm P.C. today at 1(844) FINK- LAW (346-5529). Our award-winning personal injury lawyers will help you navigate the complex legal landscape in the tireless pursuit of justice.